The Pitt Minion Bible from Cambridge came in a clamshell type box. 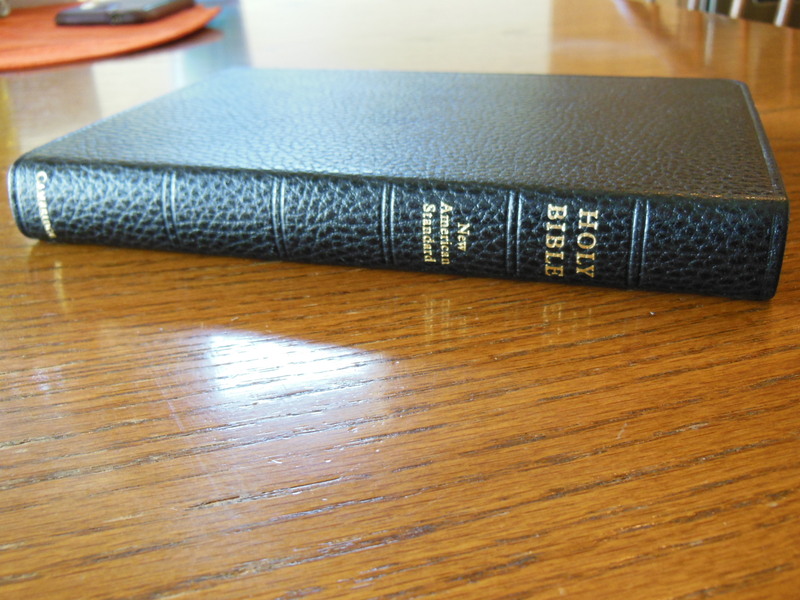 It would be good to hold onto and use for storing this Bible. 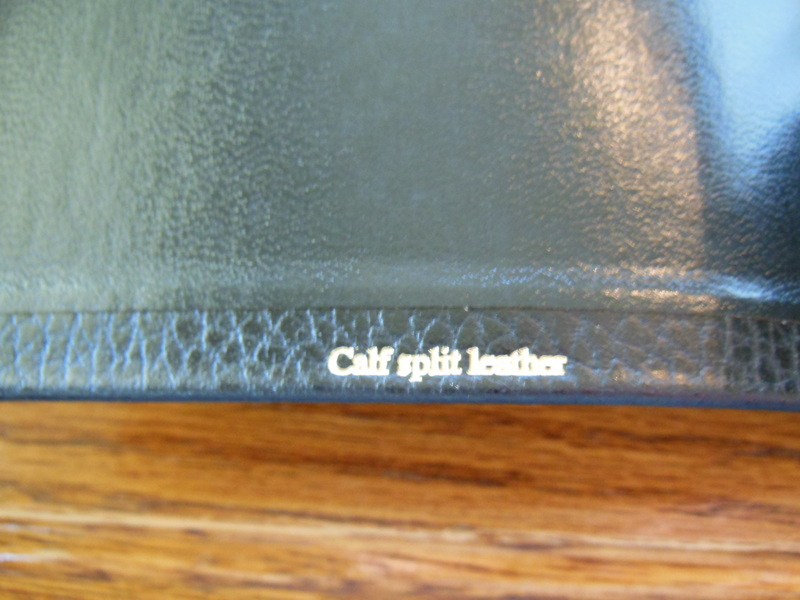 The calf split leather is much more durable and rigid than then a Bible bound in goatskin leather, or faux leather, however, it is more flexible than one bound in bonded leather. 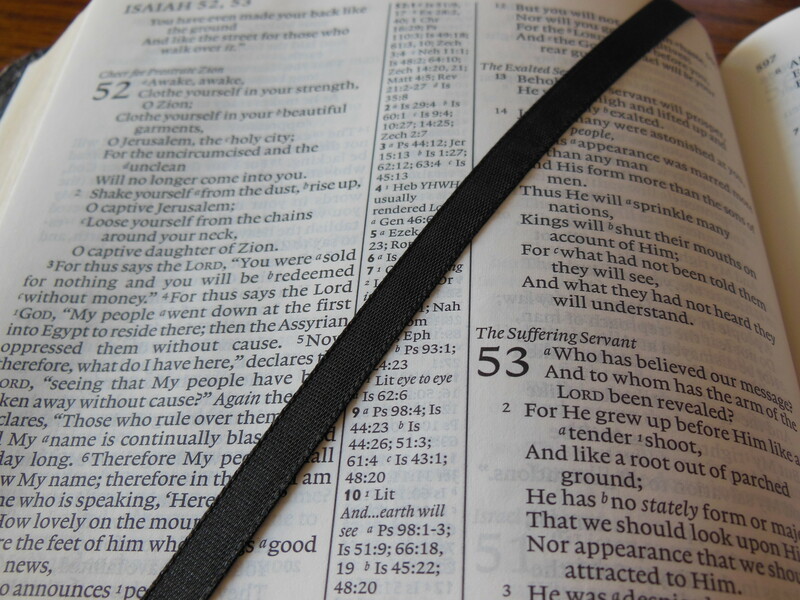 Bonded leather is made from leather scraps, and dust. It is bonded together with adhesive and formed into sheets. 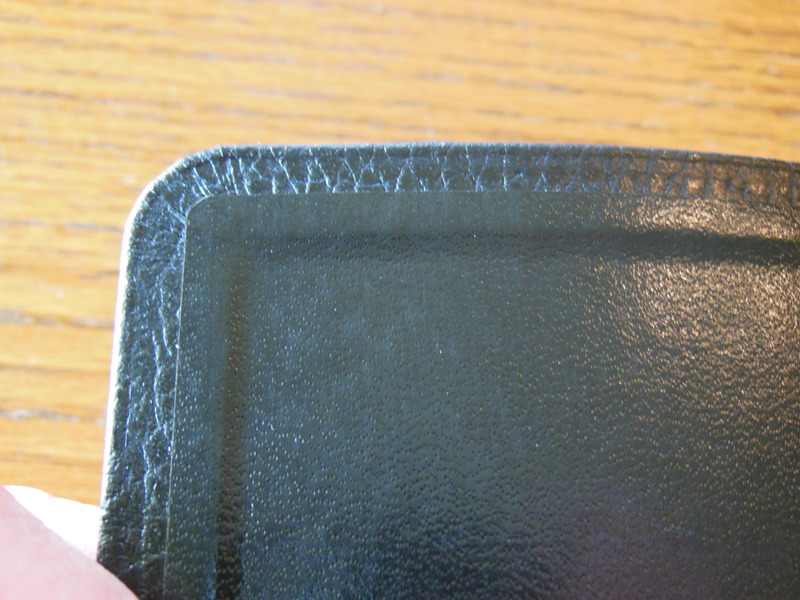 This type of Bible cover is usually very rigid and you have to fight against it to keep your Bible open, or to make it lay flat. 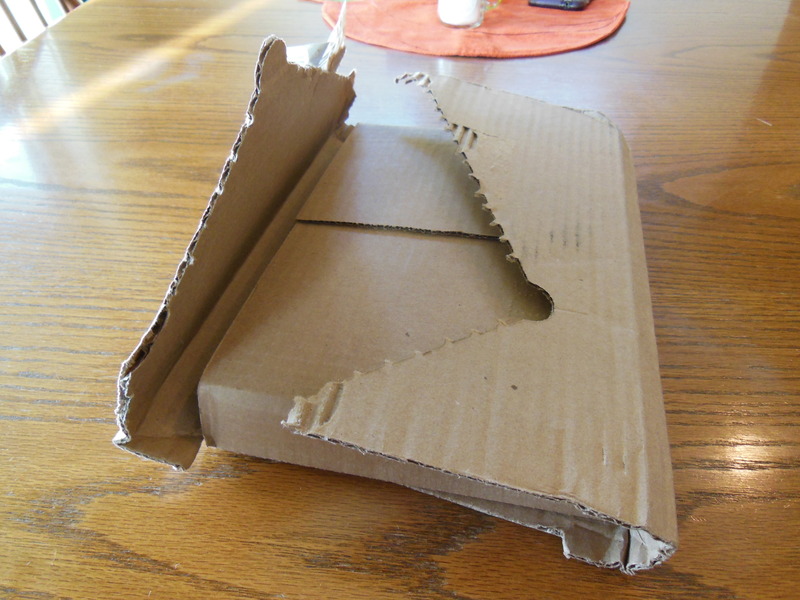 Being made of scraps makes this type of cover very inexpensive. The Pitt Minion from Cambridge I received for review was covered in genuine calf split leather. It has durability and flexibility, granted it isn’t as supple as goatskin, or top grain leather but, it will hold up much better than just about anything out there. 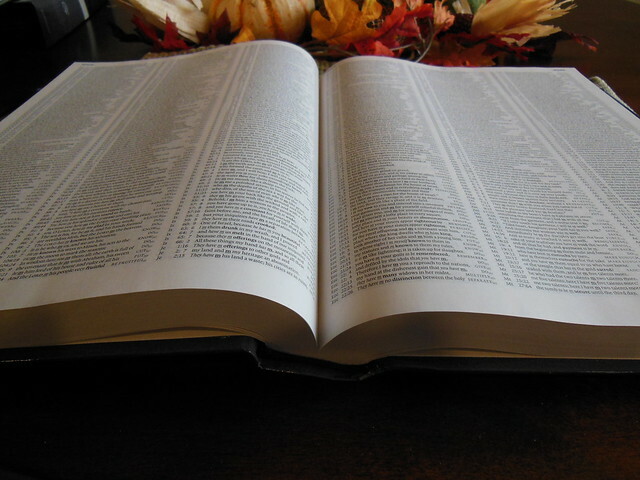 It lays flat on the table, yet it is also rigid enough to be held up and read. It is also pretty small. This is great if you are sitting in a chair and reading. 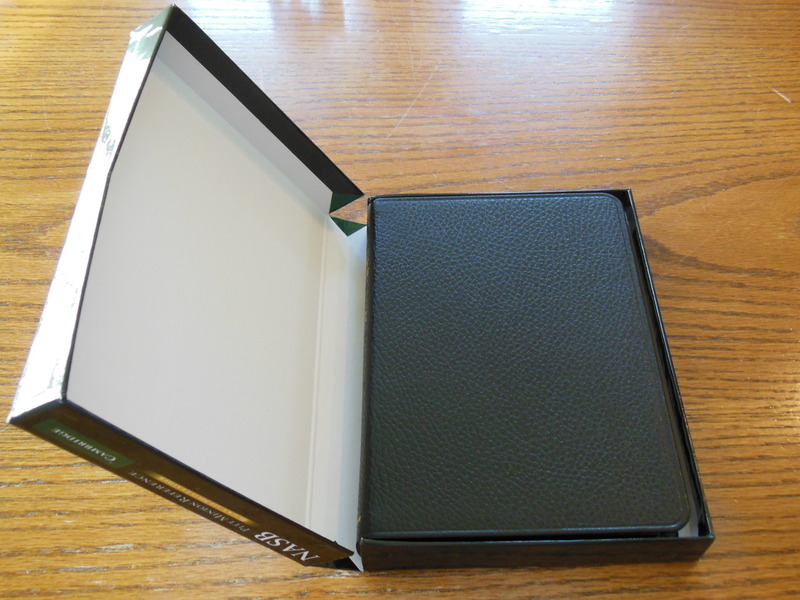 The inside cover is lined with what appears to be typical vinyl lining. The binding is smyth-sewn. This is the major factor that contributes to its durability and flexibility. Sewn bindings are more expensive to manufacture do to the many steps that are taken to produce them. The pages are folded into pamphlets called journals. These are then stacked and sewn to journal tapes. These are all sewn together. This is more time and resource consuming than glued bindings. 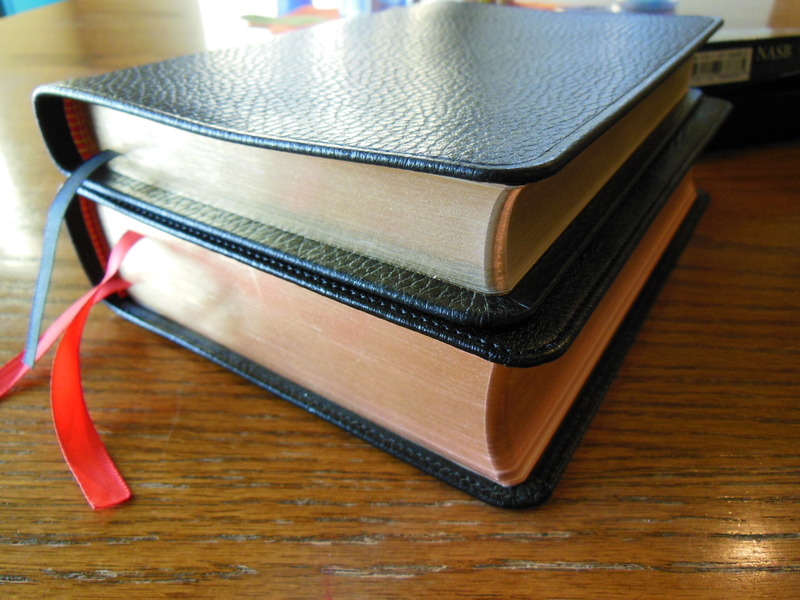 Most inexpensive Bibles that fall apart after a couple of years are made with glued bindings. 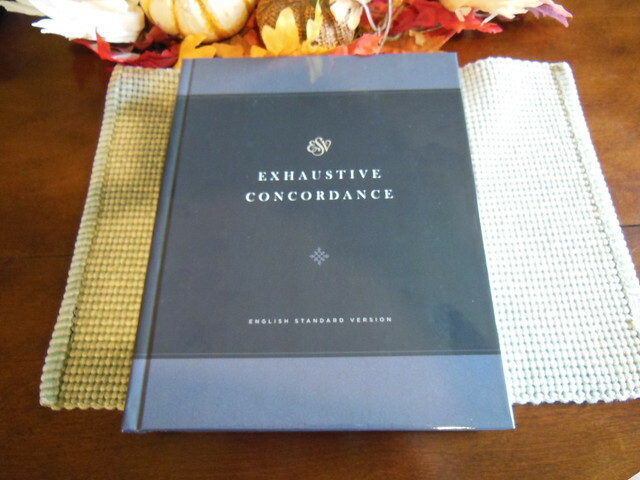 Even the best glued binding cannot compete with a good sewn binding in durability and flexibility. 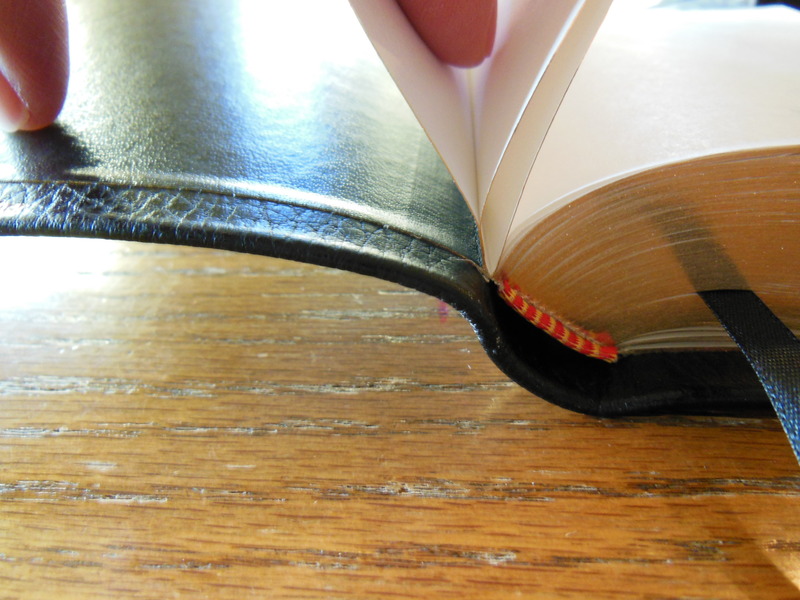 If you want a Bible you can hand down to your children, buy one with a sewn binding. 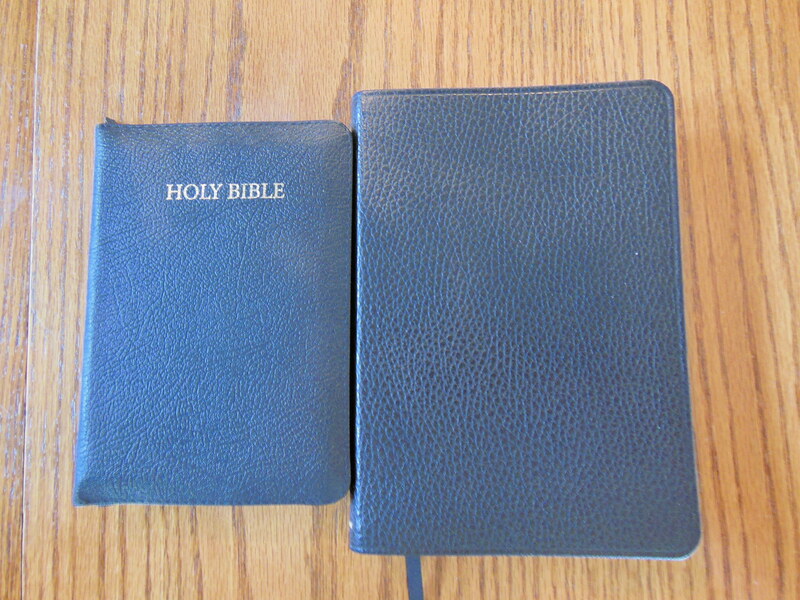 Let’s face it, if you are interested in a Bible this size it is because you want one to carry around with you. It isn’t for the size of the font. 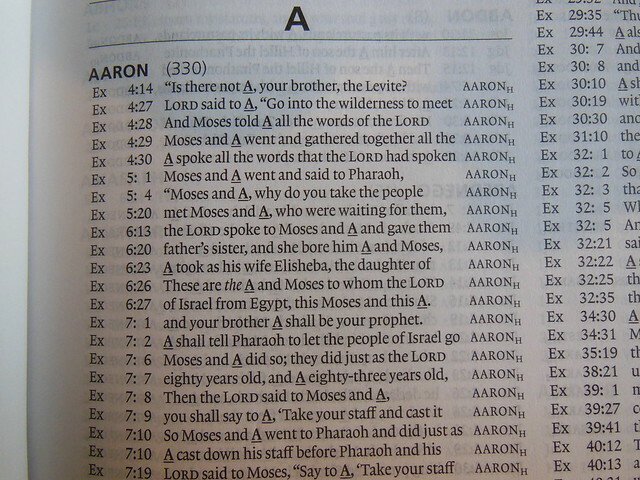 The font for the Bible text is 6.75 point. 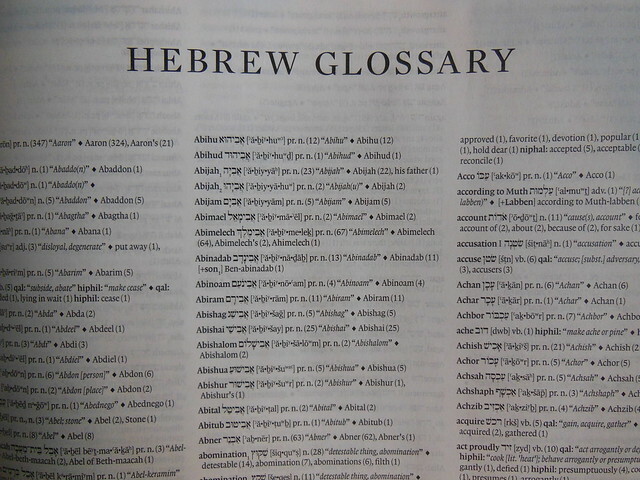 The lexicon font is 7 point. This is pretty small. It is printed clean and sharp. It is a consistent black that contrasts well with the paper it is printed on. It is printed by Jongbloed (Youngblood) of the Netherlands. Jongbloed is famous for their high quality and attention to details. 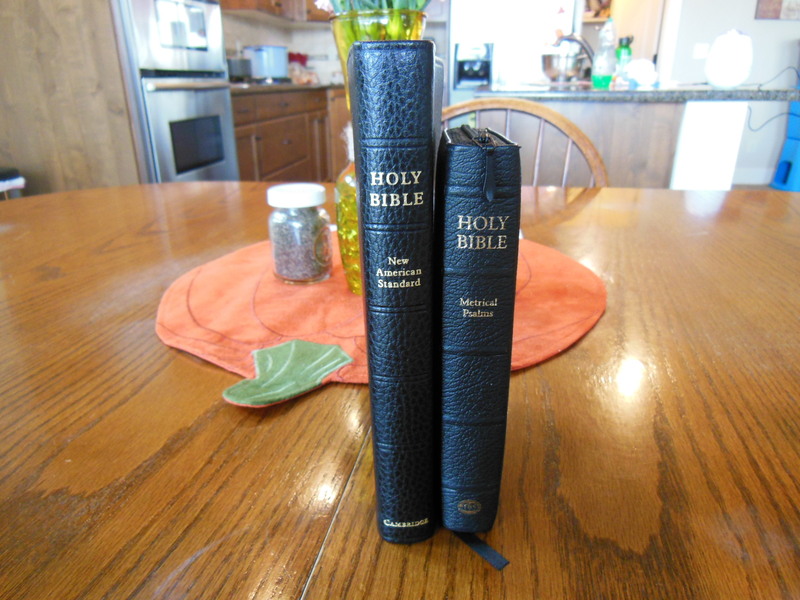 They have been producing luxury Bibles since 1880. The quality of the print job does make it easier to read than less expensive, lower quality printings. Other companies skimp on paper quality. The paper is too transparent and not opaque enough so the text from the other side of the page bleeds through making it more difficult to read. This is not a problem on the Cambridge Pitt Minion. Even with its small font it is easy to read compared to its competitors. 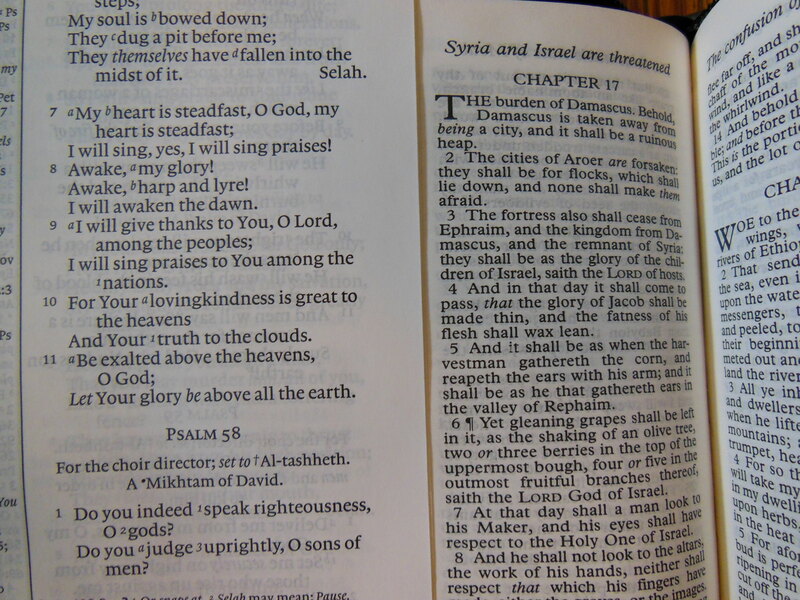 I have a Trinitarian Bible Society Bible, Royal Ruby Text Bible. It is smaller and has smaller text. When you compare the two the difference in the font size is obvious. It isn’t much of a difference, but it makes a huge difference in the work you have to do to focus and read. Hopefully most of us are buying Bibles to read. You can see it in comparison to the Cambridge Clarion in the pictures below. The Pitt Minion has gilded page edges and spine. 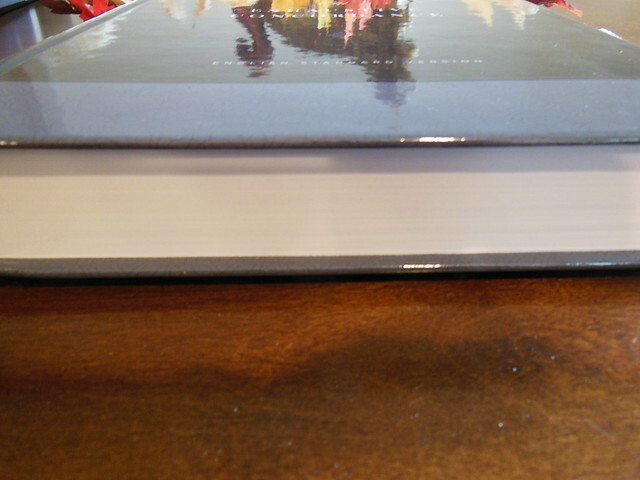 The spine is rounded and imprinted with, “Holy Bible” “New American Standard” at the top and “Cambridge” at the bottom. The first and last page is glued up higher to keep the text block firmly attached to the cover. 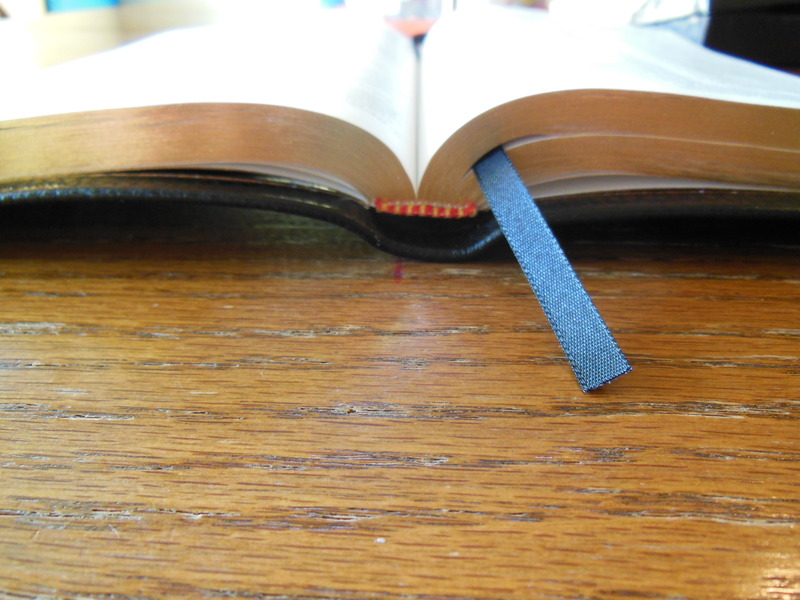 This also keeps the pages in the front and back from falling out or separating as easily as they do without this detail. 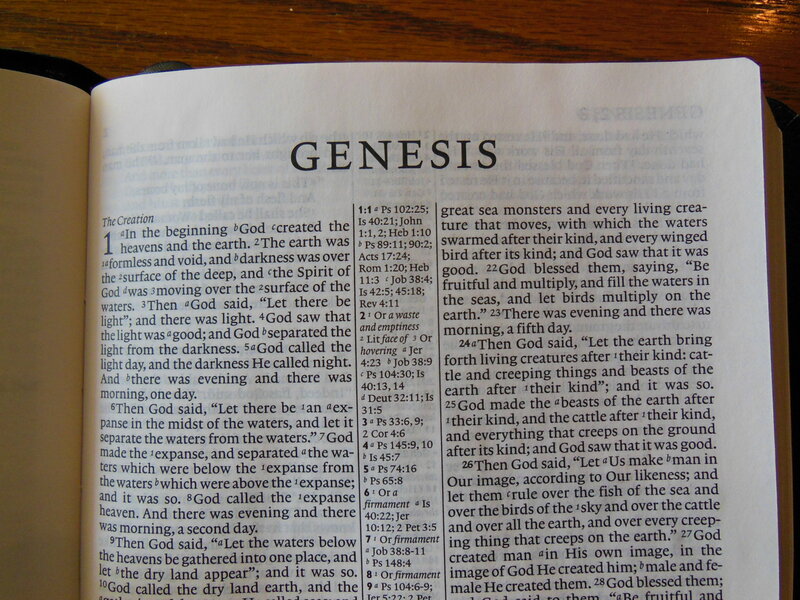 There are five blank pages and one presentation page in the front of the Bible. The text is arranged in paragraph format in dual columns with references in the center column. 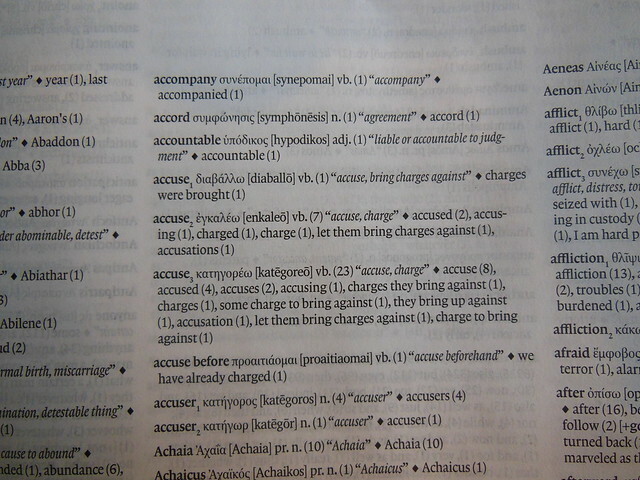 There are footnotes as well. 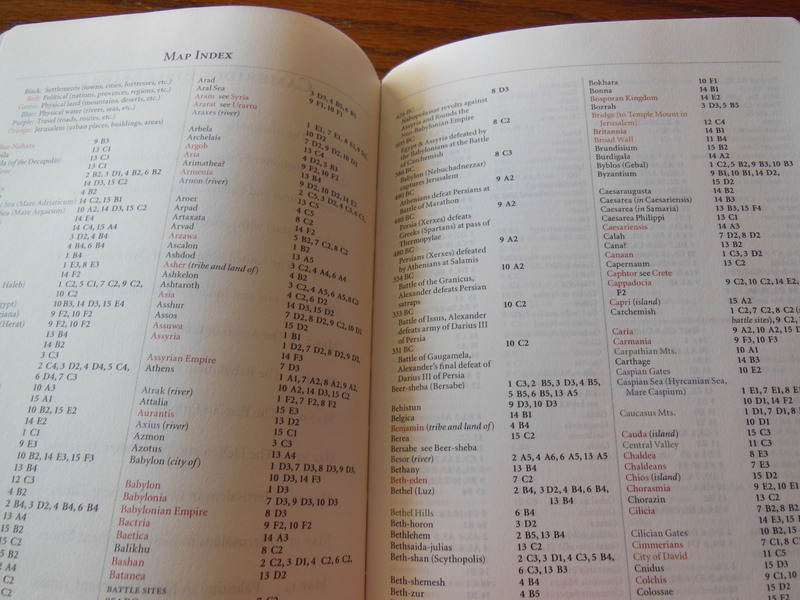 Chapters have headings and the Chapter numbers are bold and larger in size. There is one black ribbon marker. 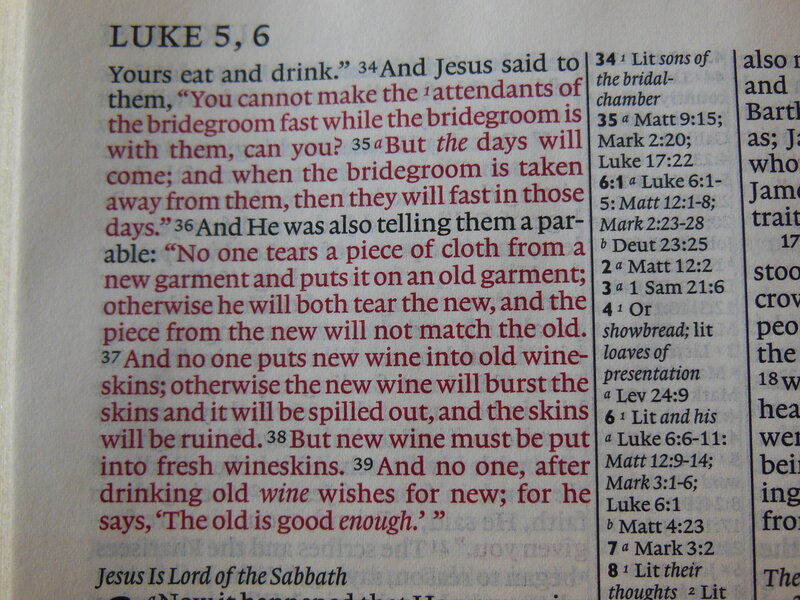 The words of Christ are in red. The red ink is not offensive in its brightness or contrast. It blends in with the text around it. 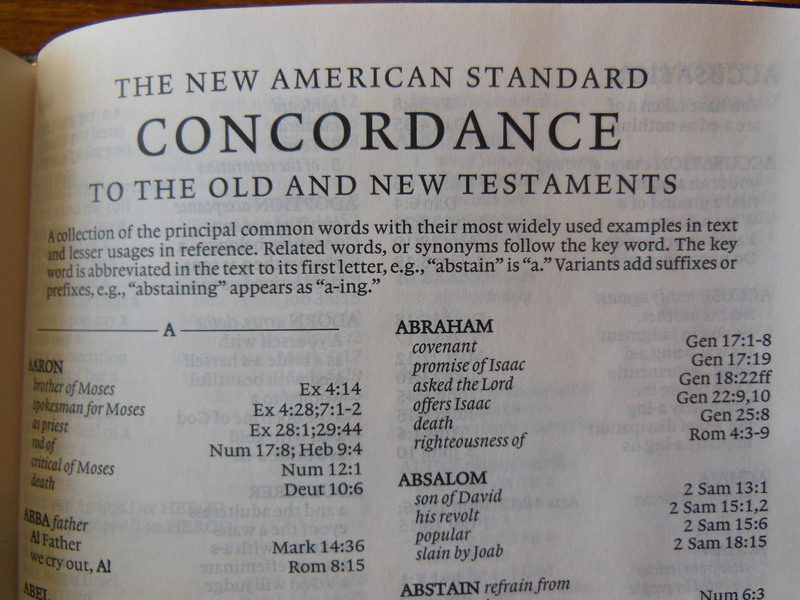 Of course the entire Bible is the word of God so highlighting part of it as the word of God can seem silly to some, yet to others it is a nice feature to have. It helps them recognize when the 2nd person of the Trinity is speaking. 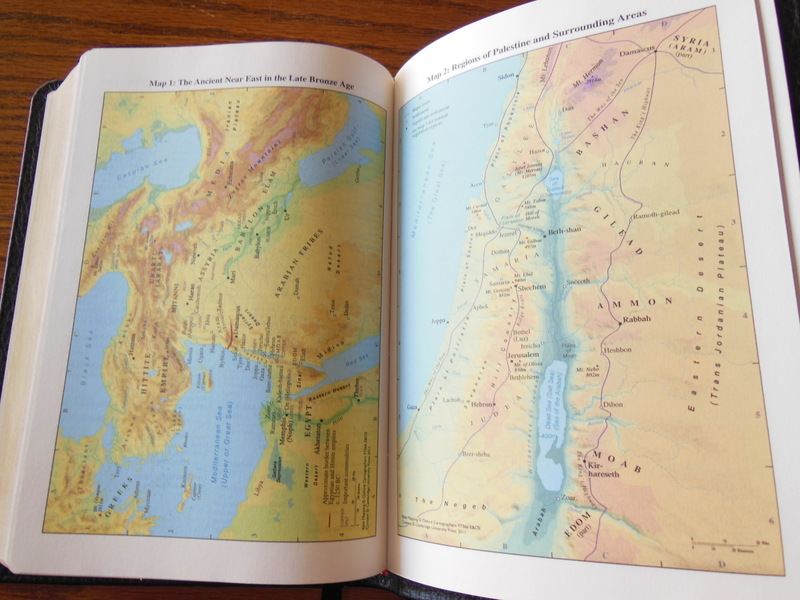 At the end of the Pitt Minion there is an 83 page concordance and color map index for the 15 pages of maps. 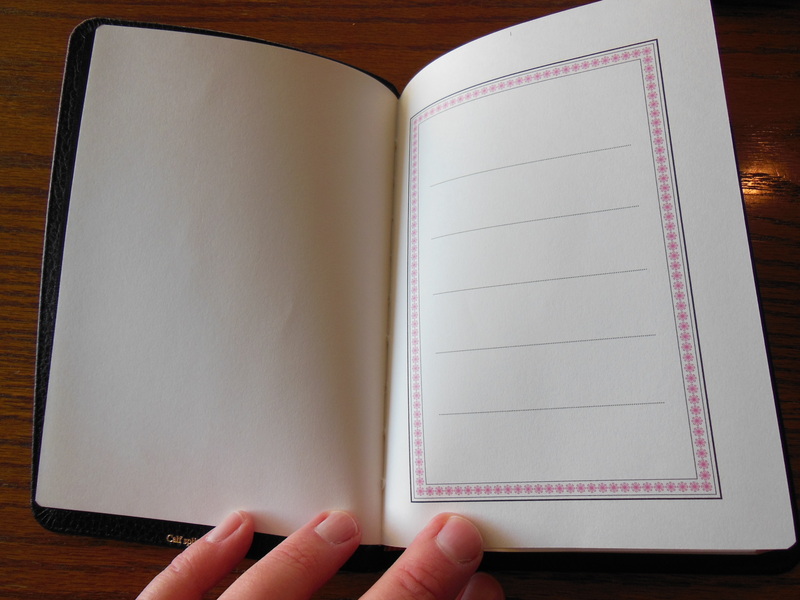 At the end there are 7 blank pages. I have to admit, after carrying this Bible around with me for a while I can appreciate the size and convenience it offers. It has some very important features and the attention to detail makes the higher price less of an issue. The only thing that disappoints me a bit is the paragraph format. I am a fan of the verse per line or the verse format. 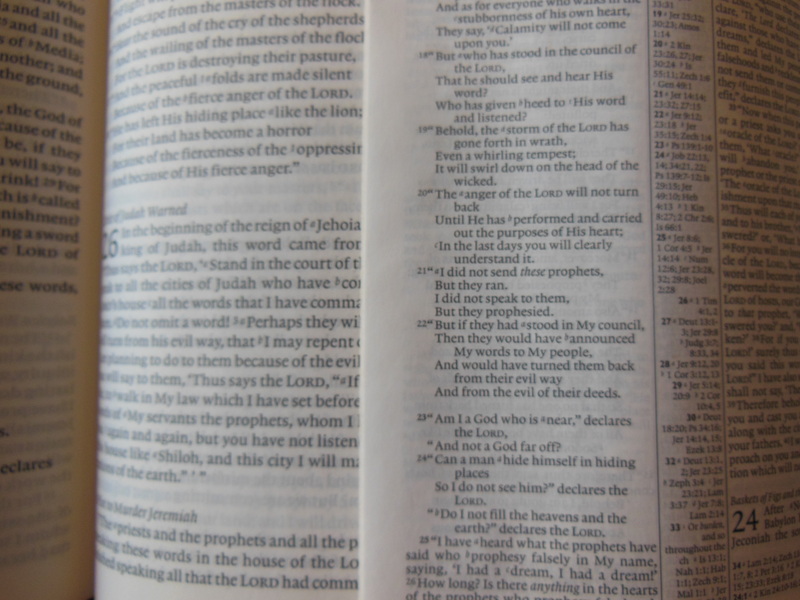 It helps me look up and identify the verse I’m after more quickly. 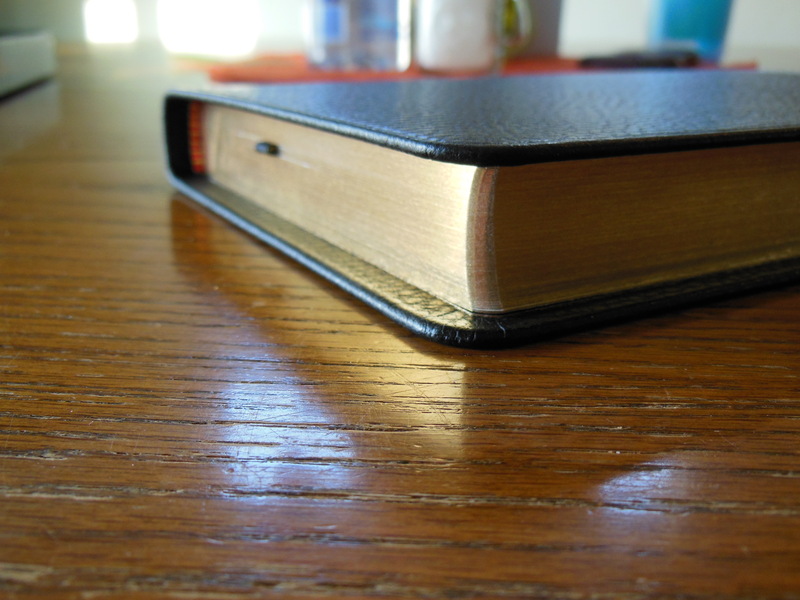 It is a small thing in comparison to all you get in this Bible. You can spend the money for this one up front, or buy a new $20.00 Bible every couple of years. This one makes more sense in the long run. We should invest in God’s word. 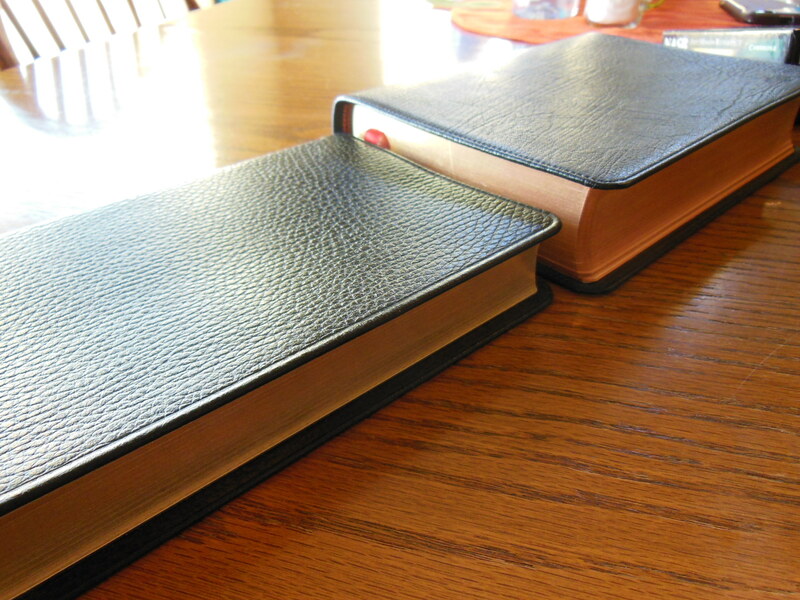 I know I would have loved to receive my Fathers Bible after he died. 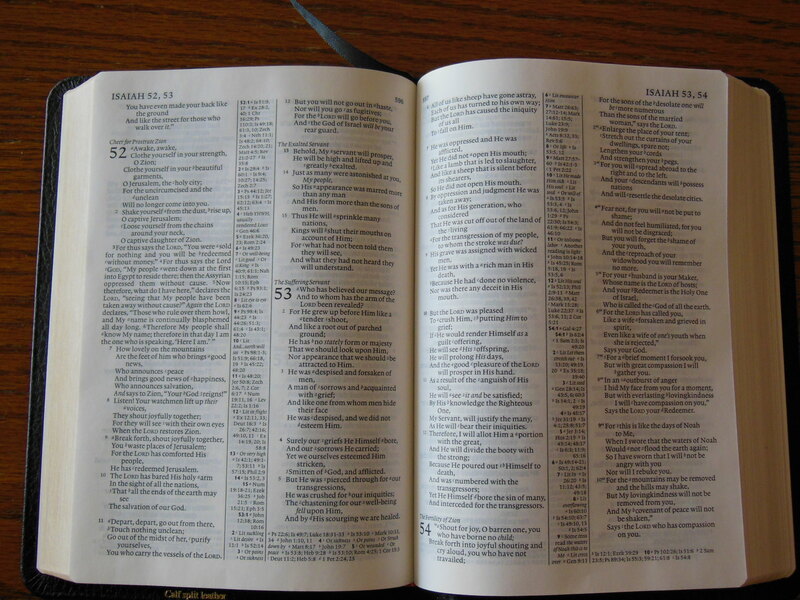 It would be a nice feeling to read the word of God from the same Bible as he held in his hands for many years. 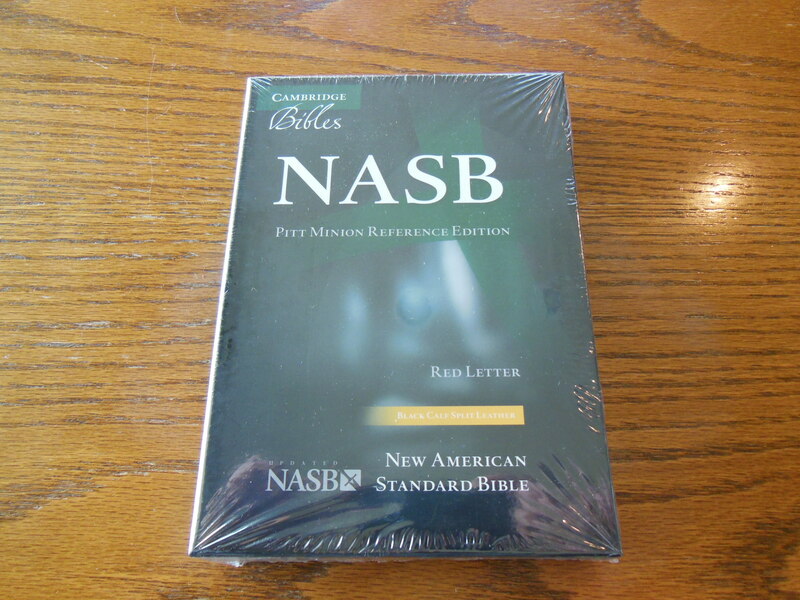 Unfortunately, Dad never had access to Bibles of this quality. 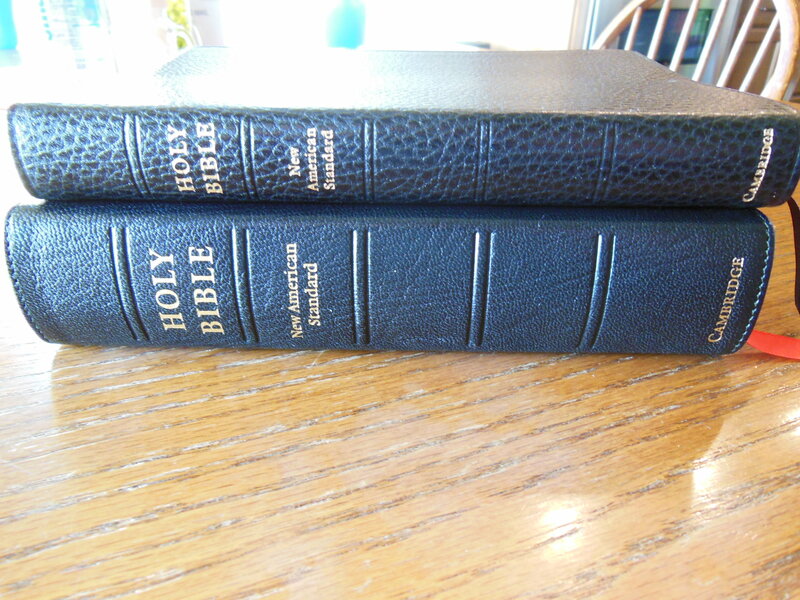 I hope to leave some well-worn Bibles to children when I go on to glory. I hope you feel that way to.